Tuesday 5th February is the Chinese Lunar New Year and 2019 welcomes in the year of the pig. Notable Brits born in the year of the pig include: Elton John, Alan Sugar and Emma Thompson. With many Chinese takeaways being closed tonight for the festivities, the nation will be embracing the ‘fakeaway’ revolution and either creating their own Chinese food or buying ready-prepared from the abundant supermarket chiller and freezer aisles. With sweet and sour being one of the UK’s favourites, Holmach has facilitated many projects which can help the less accomplished home cook, create this popular dish. Cooking sauces are store cupboard staples these days, from the family-sized glass jars, to the individual pouches. Whether you favour the leading brands to the supermarket own labels, many will have been cooked in Holmach supplied scraped surface heat exchangers. For in-line processing, German based NIKO can provide sterilising rinsers, filling and capping solutions and tunnel pasteurisers. Allowing for a continual flow of containers, they are suitable for glass jars, bottles, pouches or trays. Holmach has supported numerous projects with some of the UK’s biggest producers of cooking sauces. 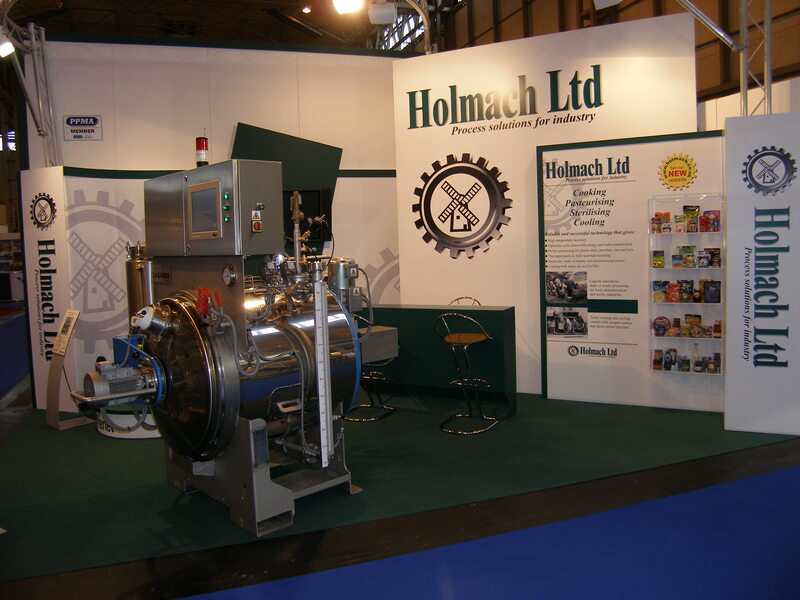 As we’ve mentioned before, the convenience rice market has grown beyond expectations, and whether you like your pre-cooked rice out of a bag or in a plastic tray, it will have been produced on Holmach supplied technology from Lagarde autoclaves. From the very first pouch to hit the shelves, to the supermarkets launching their own ranges, many of which are produced on a new Holmach line, they have all been gently steamed and pasteurised in the packaging within a Lagarde steam and air autoclave. The fully automated and programmable process creates perfectly separated grains in a stable, ambient product, that is safe to eat. And if all that seems too much like hard work, why not pick up a pre-prepared meal. Holmach has many years’ experience on the thermal processing of ready meals, those being ambient, chilled or frozen, and has provided retorting solutions to some of the UK’s biggest producers. The operation doesn’t stop at the cooking process, Danish based Jorgensen provide robotic handling systems which offer retort tray-loading and unloading systems, as the highlighted video shows.